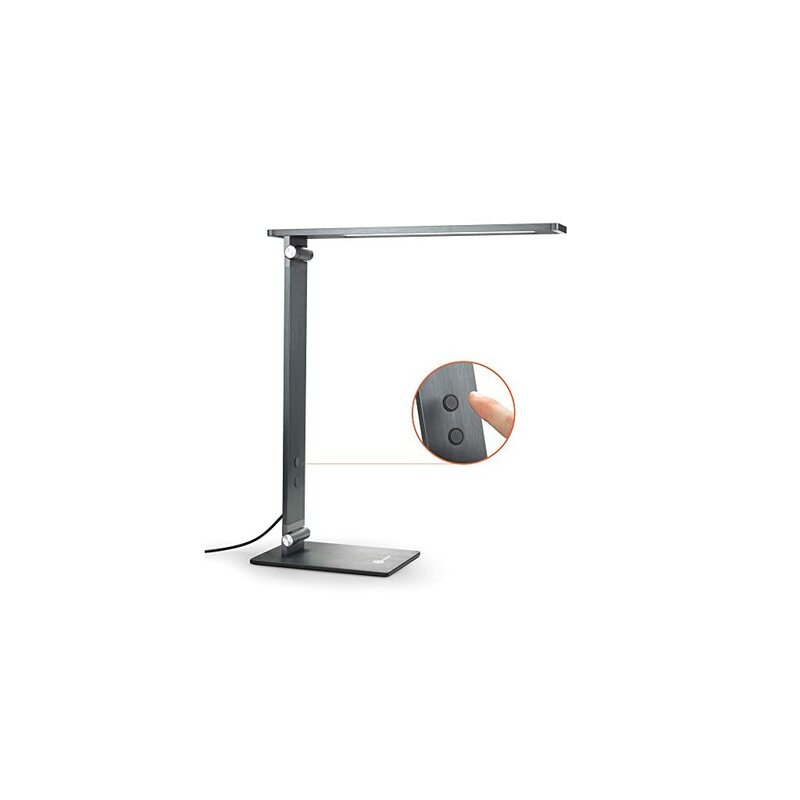 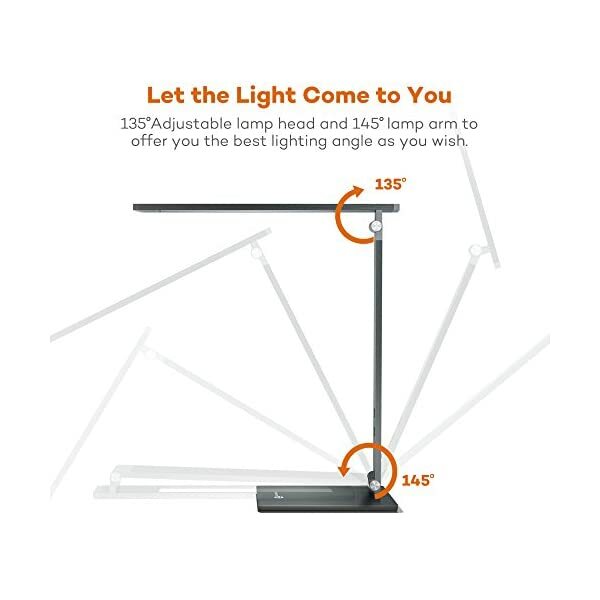 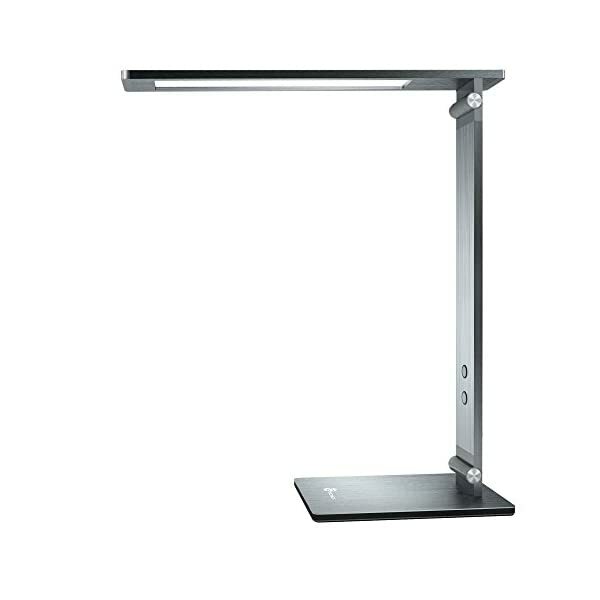 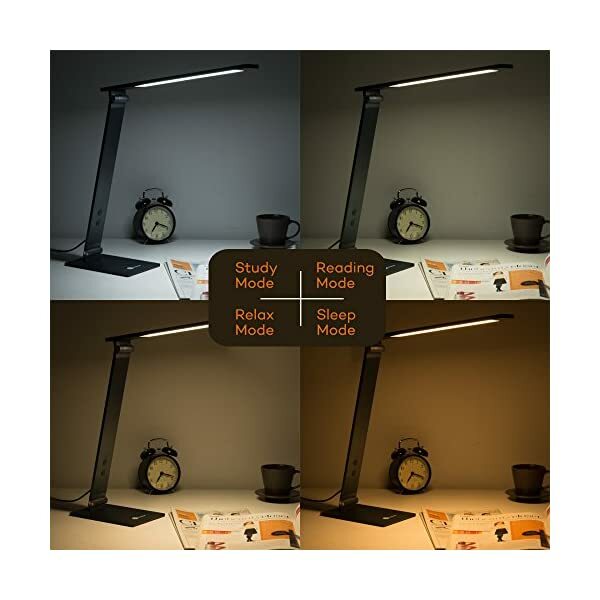 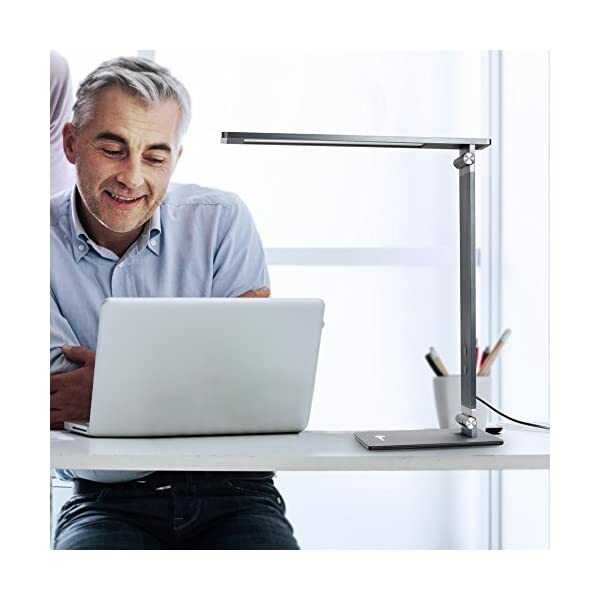 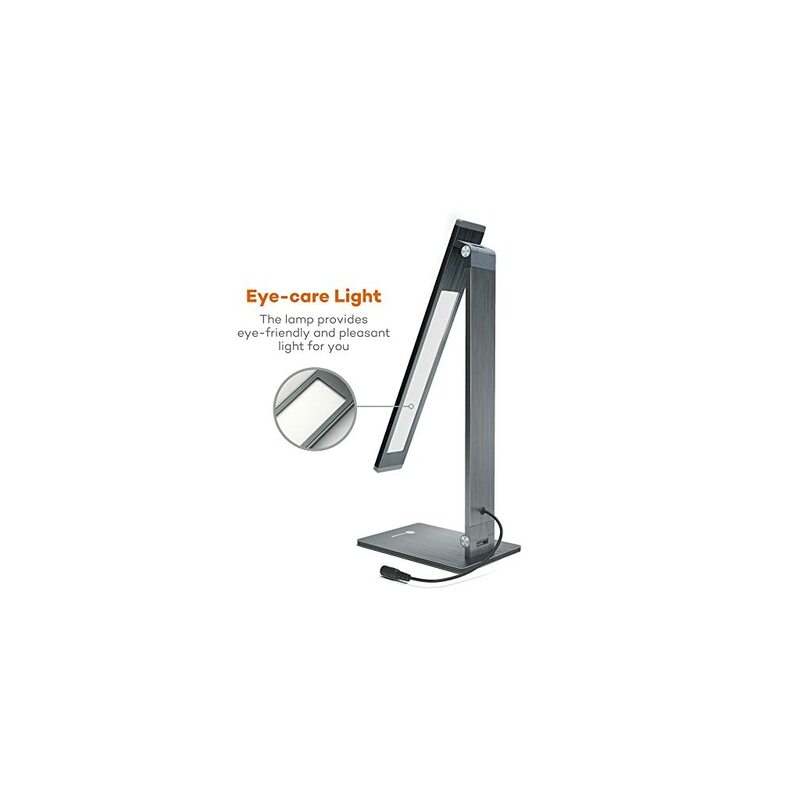 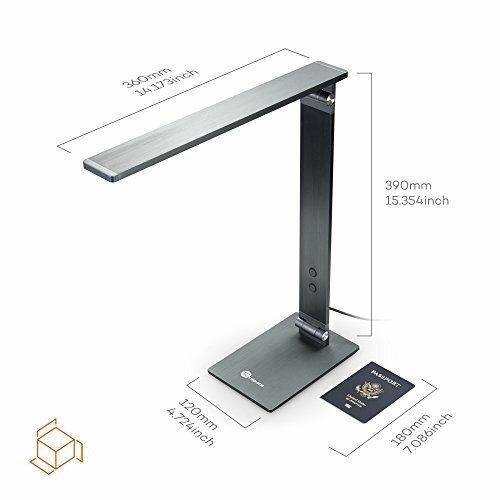 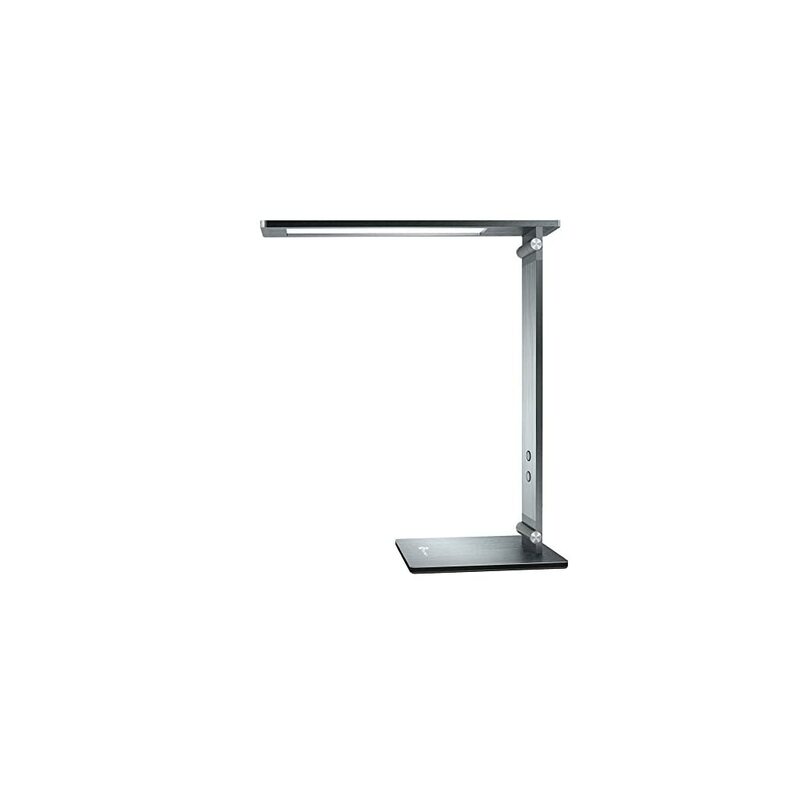 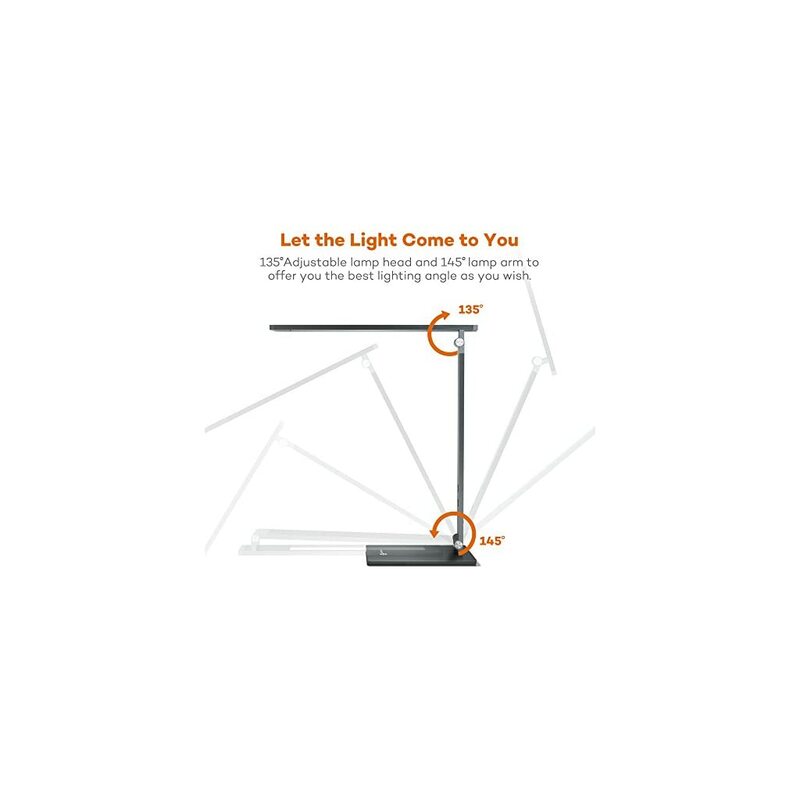  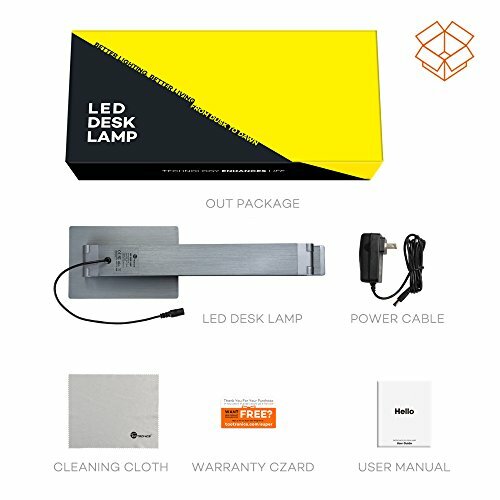 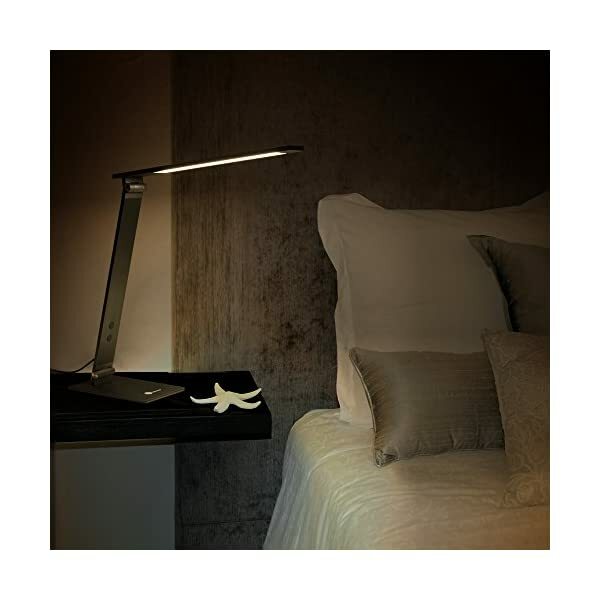 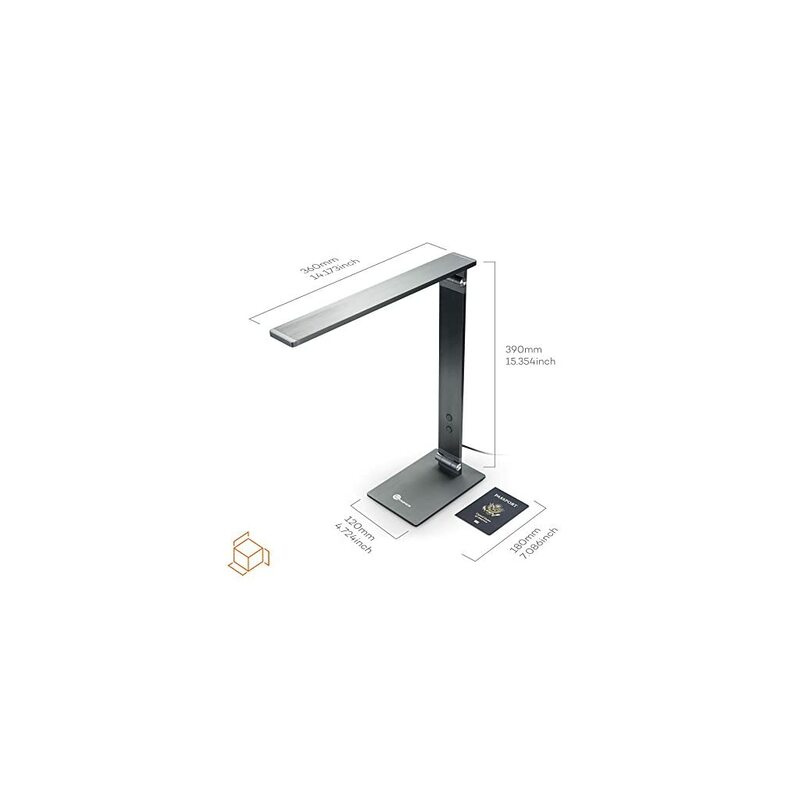 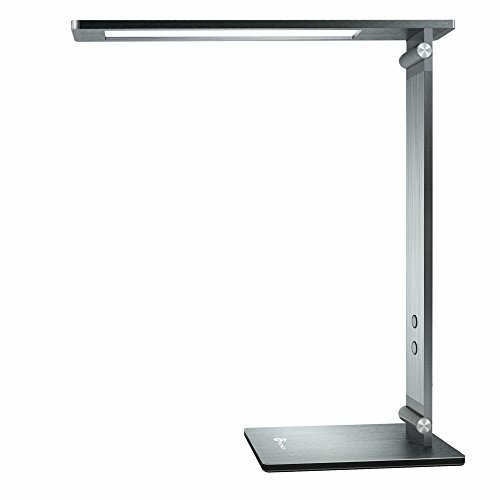 TaoTronics metal LED desk lamp is made entirely of metal, featuring a minimalistic design at no expense of durability. 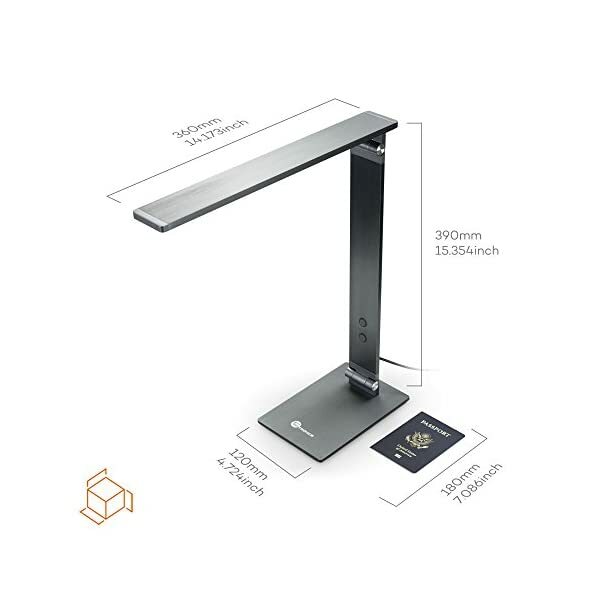 Premium feel. 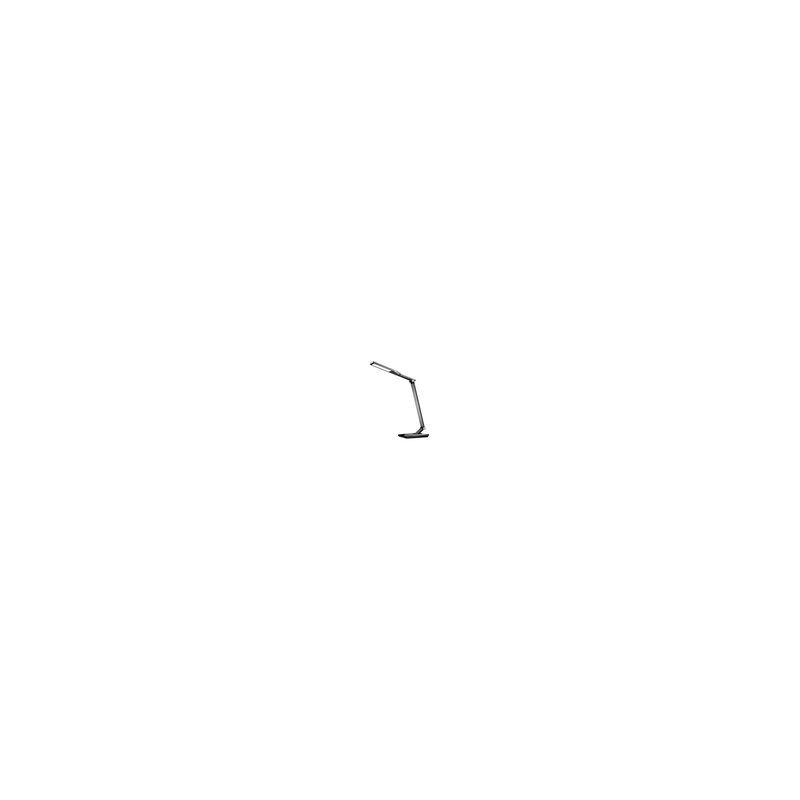 Everlasting toughness. 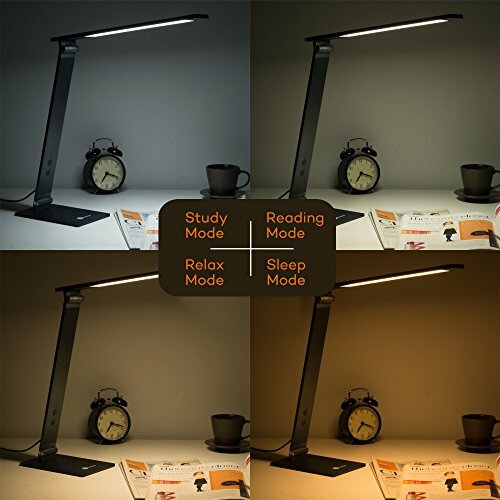 Let yourself have the most efficient of both. 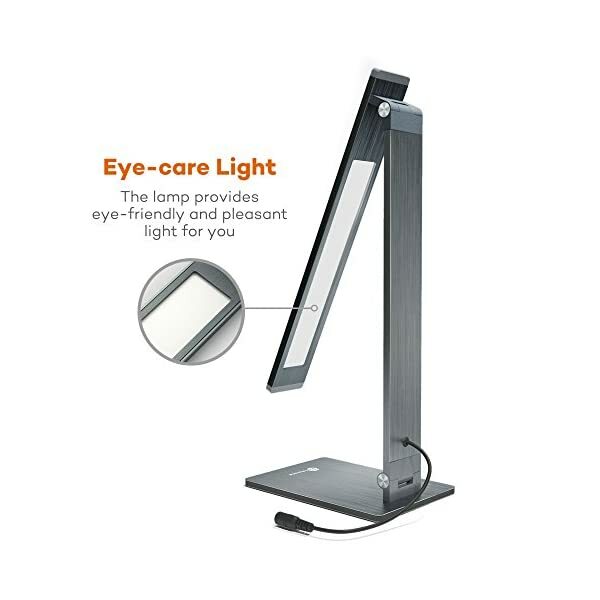 Do not squeeze your tired eyes at the desk light after reading only a few pages anymore. 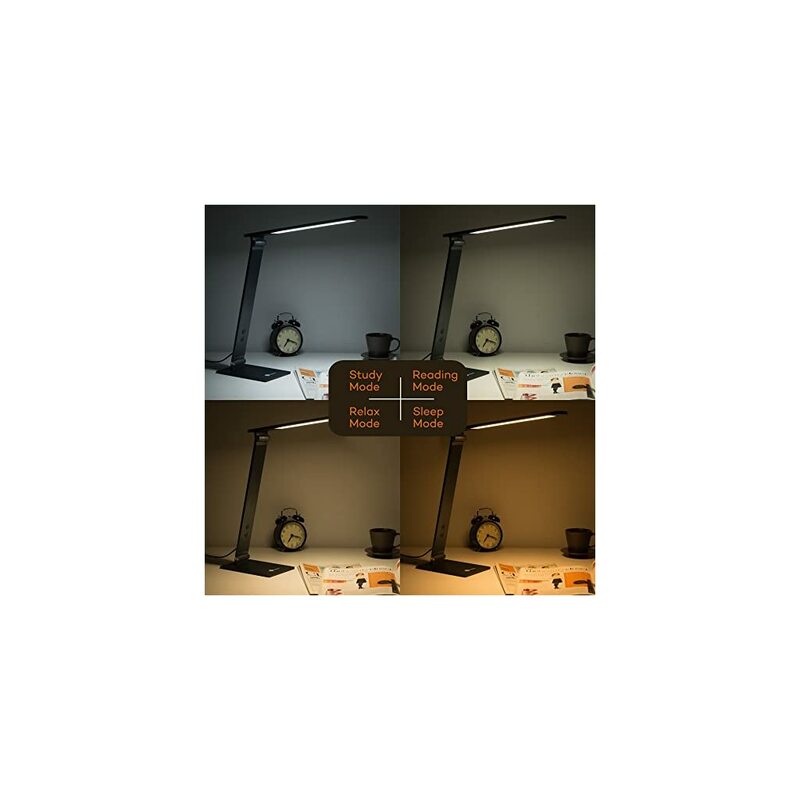 6000K, 5000K, 4000K, and 3000K color temperatures and 4 brightness levels to choose between. 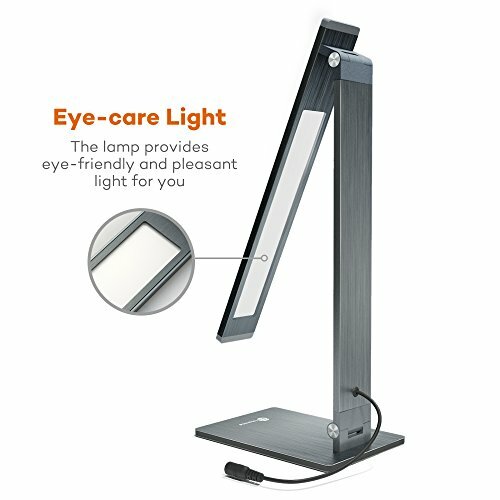 Because reading is a pleasure. 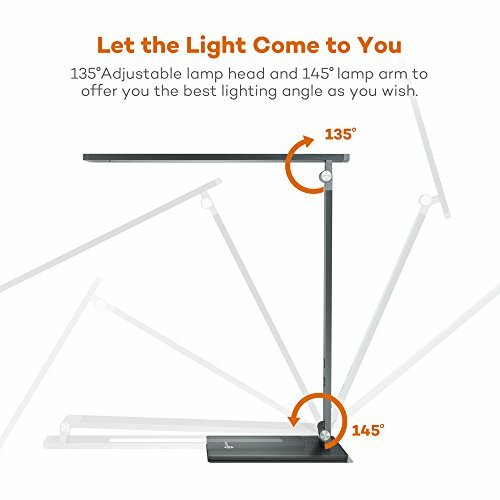 Make it last. 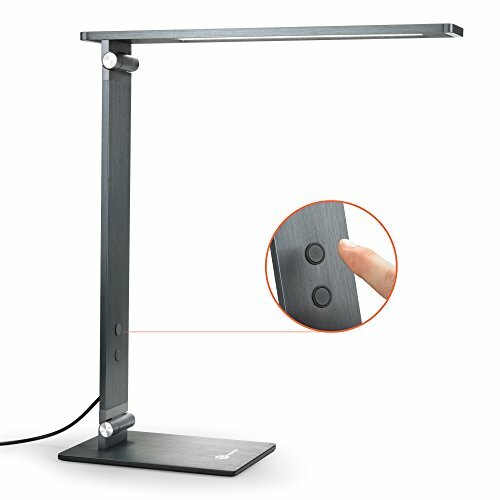 TaoTronics metal LED touch lamp has been realized with you in mind. 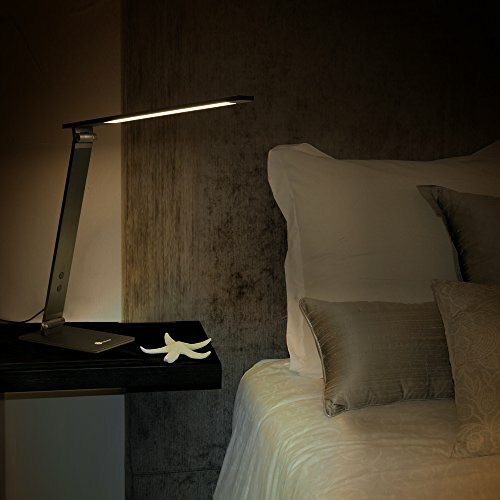 No wish to draw closer to the light to read, let the lamp flexible arm adjust to you. 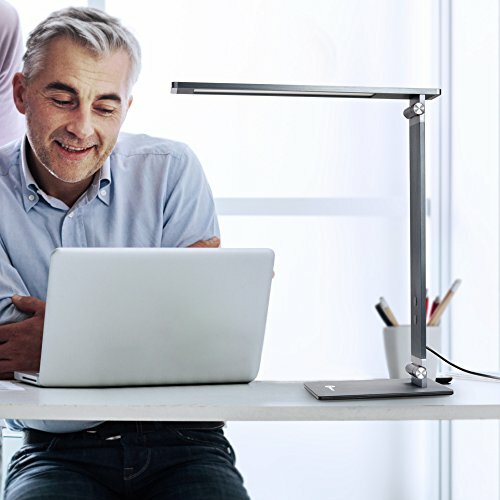 Sit down back and enjoy limitless comfort always. 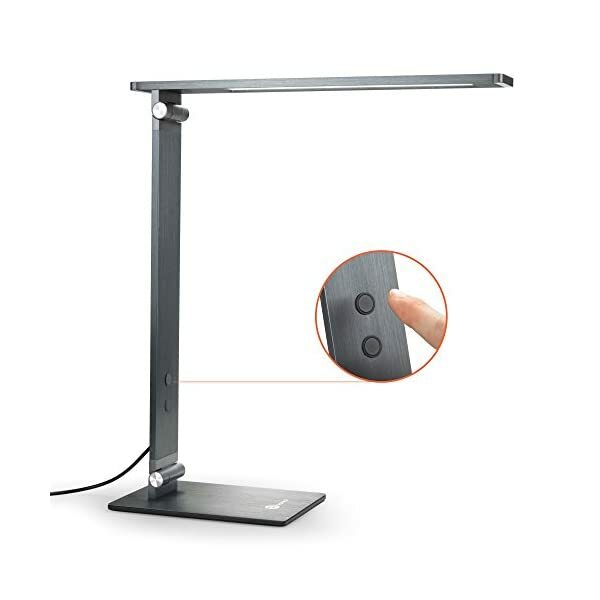 Compared to abnormal bulbs, the LED panel provides a solid flicker-free light beam that consumes up to 75% less power. 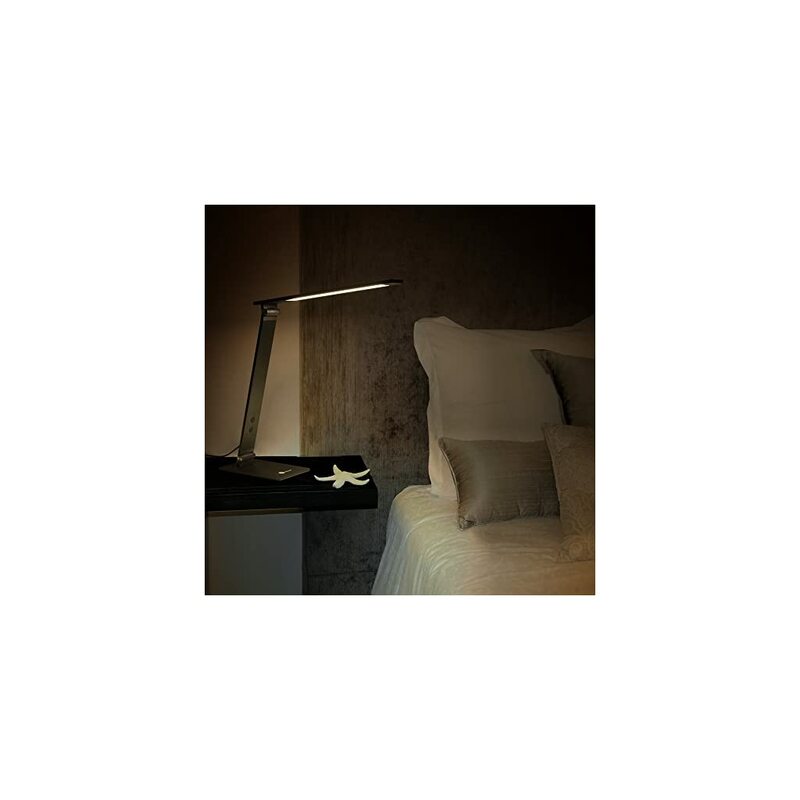 Feel free to turn the light on what matters most. 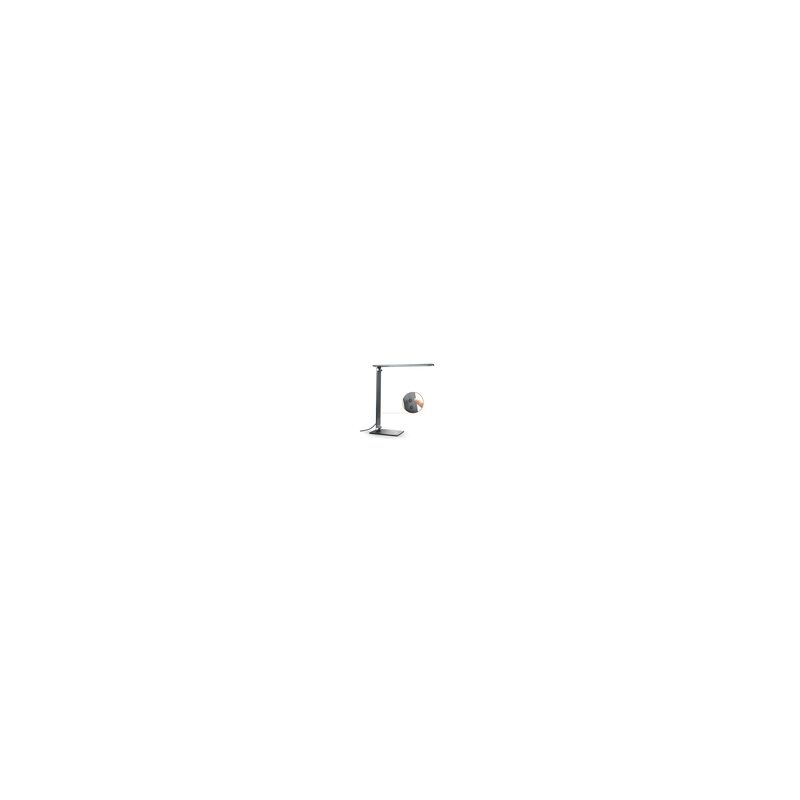 Your budget first. 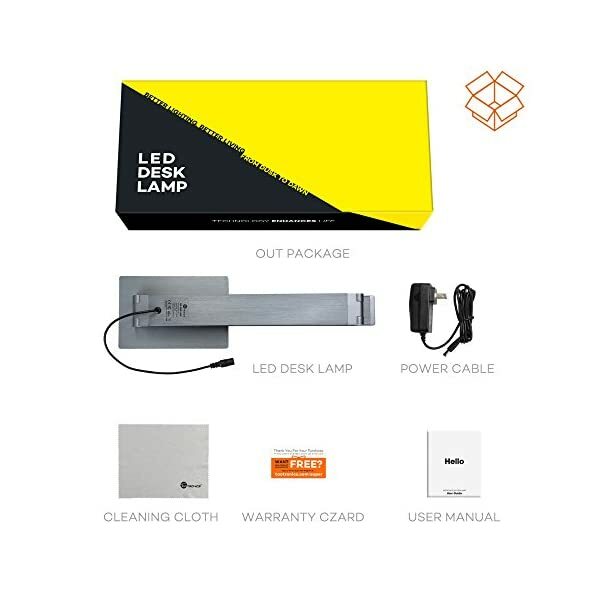 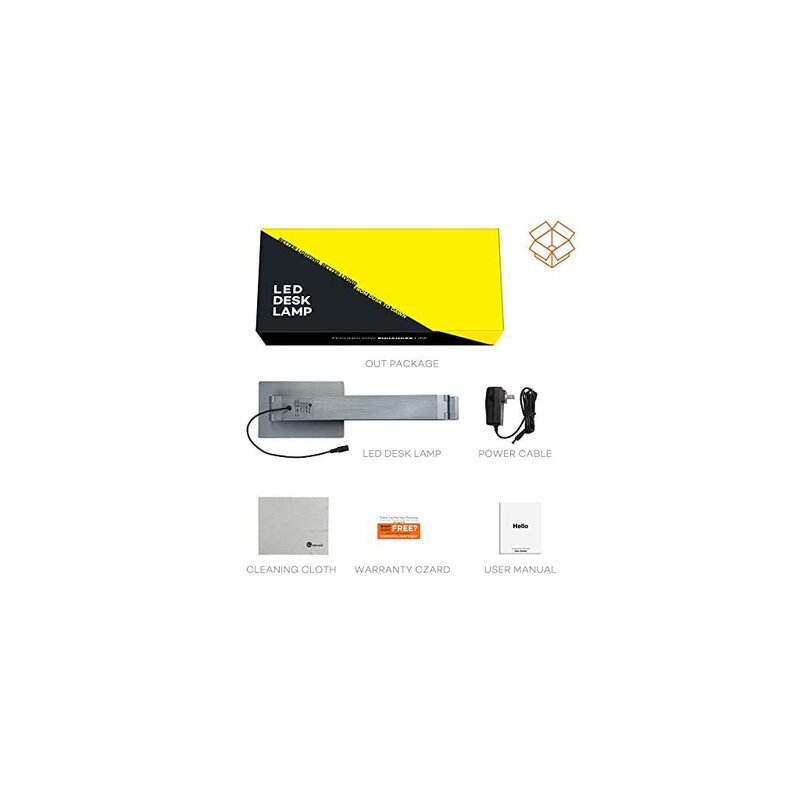 What’s in the box: 1 x TT-DL18 LED lamp 1 x power Adapter 1 x user guide.